We were delighted to see one of our favourite wedding venues featured in the Spring issue of Confetti Magazine. 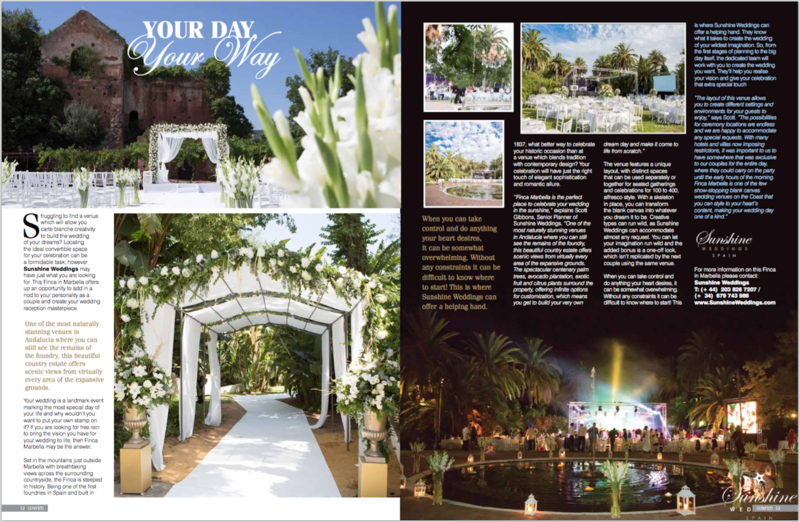 Here is the article in full which gives you a great insight into one of the best wedding fincas in Marbella. 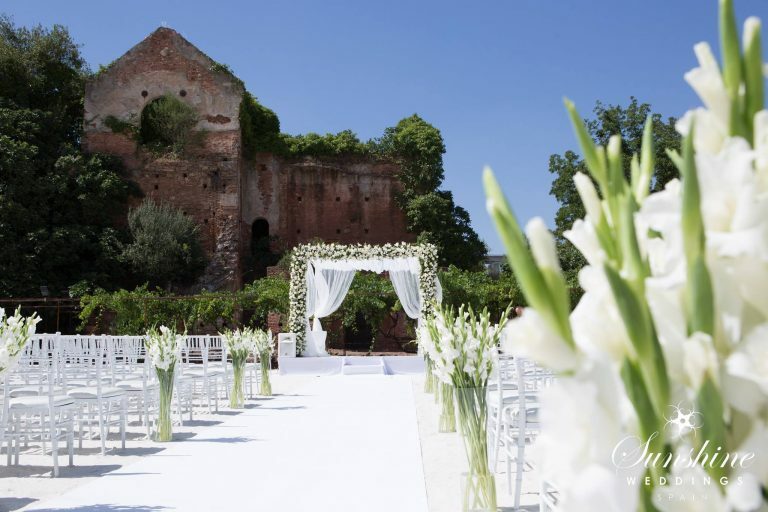 Struggling to find a venue which will allow you carte blanche creativity to build the wedding of your dreams Locating the ideal convertible space for your celebration can be a formidable task; however Sunshine Weddings may have just what you are looking for. 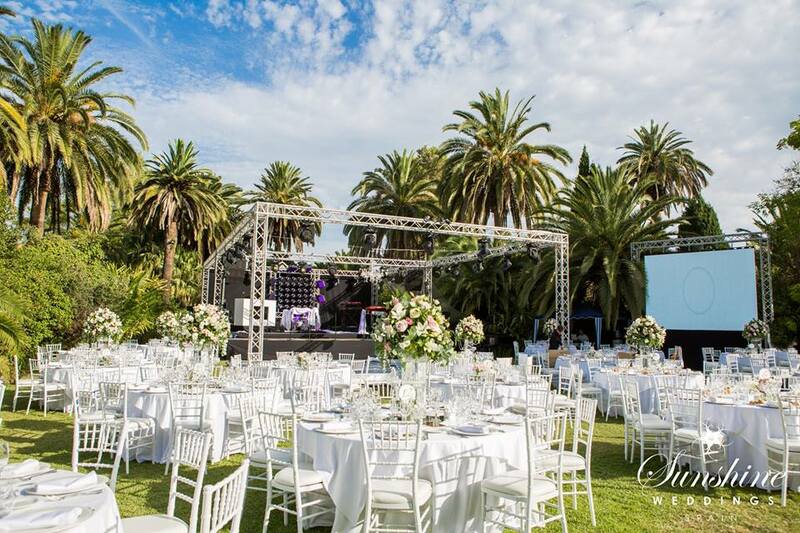 This Finca in Marbella offers up an opportunity to add in a nod to your personality as a couple and create your wedding reception masterpiece. One of the most naturally stunning venues in Andalucia where you can still see the remains of the foundry, this beautiful country estate offers scenic views from virtually every area of the expansive grounds. Your wedding is a landmark event marking the most special day of your life and why wouldn’t you want to put your own stamp on it? 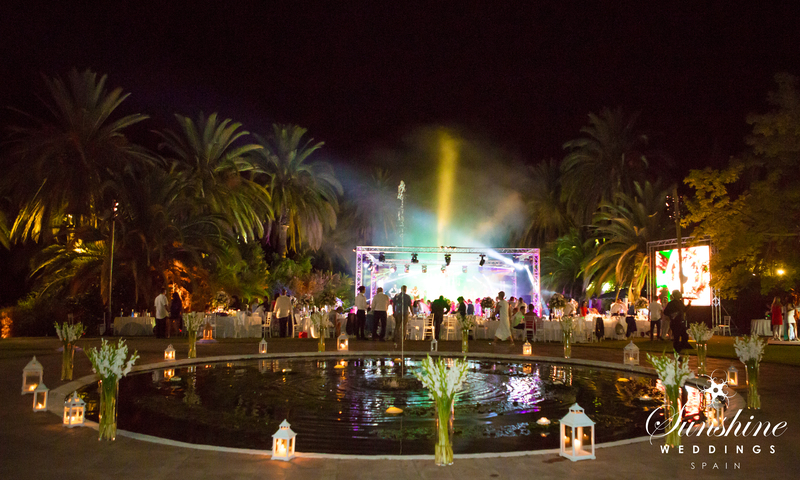 If you are looking for free rein to bring the vision you have for your wedding to life, then Finca Marbella may be the answer. Set in the mountains just outside Marbella with breathtaking views across the surrounding countryside, the Finca is steeped in history. Being one of the first foundries in Spain and built in 1837, what better way to celebrate your historic occasion than at a venue which blends tradition with contemporary design? Your celebration will have just the right touch of elegant sophistication and romantic allure. The venue features a unique layout, with distinct spaces that can be used separately or together for seated gatherings and celebrations for 100 to 400, alfresco style. With a skeleton in place, you can transform the blank canvas into whatever you dream it to be. Creative types can run wild, as Sunshine Weddings can accommodate almost any request. You can let your imagination run wild and the added bonus is a one-off look, which isn’t replicated by the next couple using the same venue. For more information on this one of a kind wedding venue or to arrange a viewing please contact the team at Sunshine Weddings.